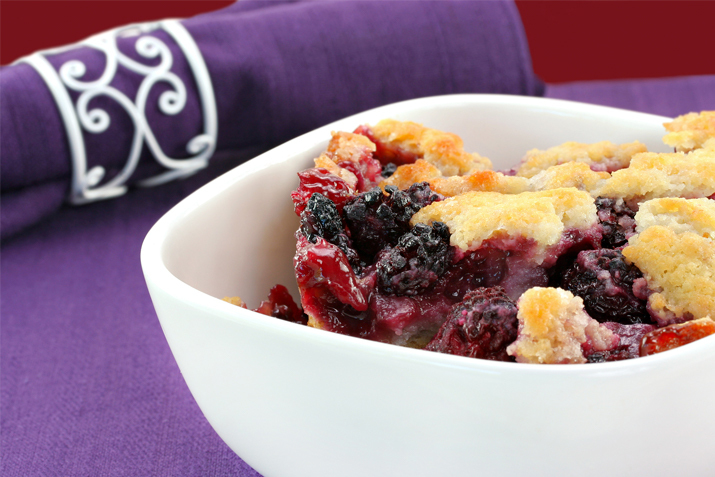 The classic cobbler is a perfect vehicle for your beautiful berries. If you don't have time to fuss with a pie crust, this is a good alternative, since the topping is simply stirred together and dolloped on. Just bake until bubbly! Preheat the oven to 375 degrees F. Butter a 9-inch square baking pan. Spread the berries in the pan, and sprinkle on the first 1/4 cup of sugar.